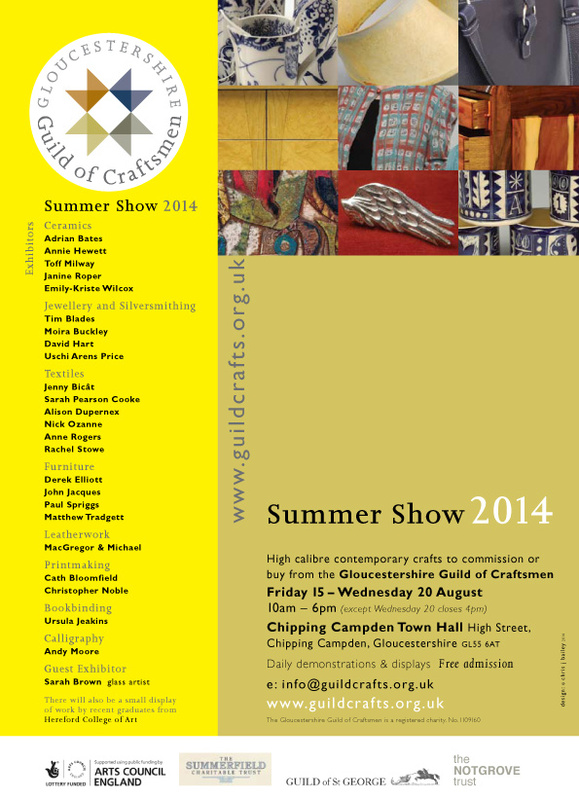 I will be exhibiting my work at the Gloucester Guild of Craftsmen Summer Show. Friday 15th – Wednesday 20th. Open: 10 am – 6 pm daily. 10 am – 4 pm Wednesday 20th. Please come and see my work!